Music can be a force for good. And the right to artistic expression has to be protected. Josh Baran has worked with clients as diverse as Warner Records (Ice-T, Tupac Shakur), the Special Olympics (A Very Special Christmas), Farm Aid, Operation USA, Rainforest Foundation, Bruce Springsteen, and Rock the Vote. For Warners, this was a First Amendment issue, and without Josh’s help I don’t know that we would have been able to withstand the media storm. In addition, Warner Music Group / Atlantic Records / Interscope engaged Josh to help manage a crisis growing around Tupac Shakur and a murder case in Texas. In both the film and music industries, Josh was the only crisis manager for many years. 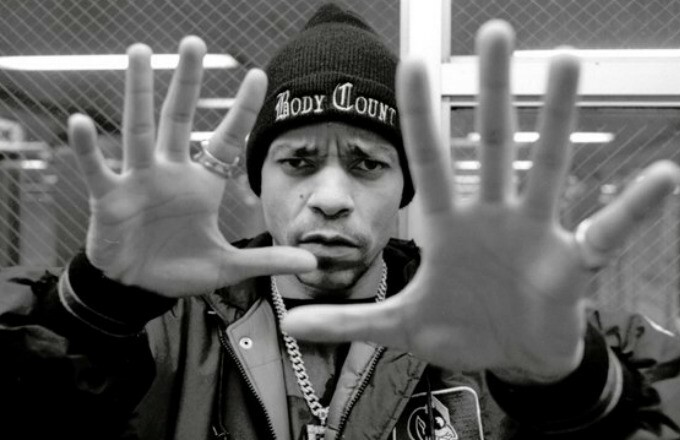 In 1992, Ice-T with his band Body Count, released a song on Sire / Warner Bros Records, entitled, “Cop Killer.” The song soon became the center of a huge storm with police protests in front of Time Warner headquarters in New York to verbal attacks from then President Bush and Vice President Quayle. Ice-T was also set to put out a new album. Gerald Levin, the Chairman of Time Warner, and Mo Ostin, the Chairman of Warner Records, engaged Josh and his team to handle the crisis management as well as the communications. Soon, Josh’s portfolio expanded to include working another “crisis” that also involved what was often called “gangsta rap.” A Texas state trooper was shot and killed by a 19-year-old young black man during a routine traffic stop, and the shooter said he was listening to a tape in his car of Tupac Shakur’s violence-laced 2PACLYPSE NOW album just before the shooting. 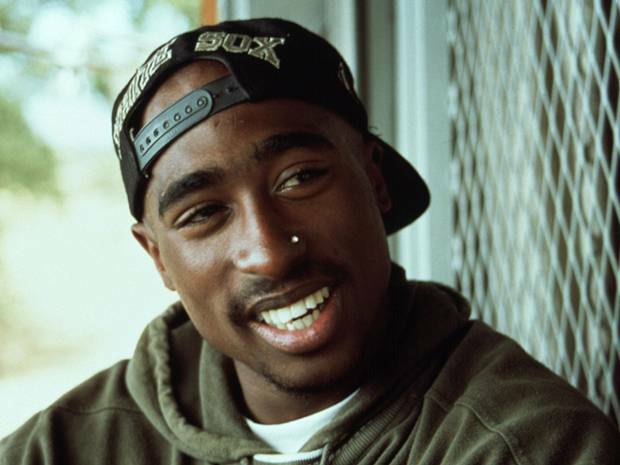 The widow of the trooper was suing Tupac, Interscope Records and Time Warner. Josh spent six months dealing with these issues, providing strategic counsel and managing the media. This was another example of worlds colliding and one more chapter in the culture wars. Ice-T ended up leaving Warner Records and independently released his new album himself. The Texas lawsuit was eventually dismissed. One of the most important issues at stake here is the right of musicians to sing their songs, make their music, even if their points of view are unconventional, radical or even angry. This music was also an honest expression of the rage many young black men felt at the hands of law enforcement. Ice T addresses Cop Killer controversy. In 1987, legendary music producer Jimmy Iovine came up with the concept of creating a benefit Christmas album of all new songs by top artists that would benefit the Special Olympics. At that time, this was a new idea. Jimmy convinced Bruce Springsteen, Sting, John Mellencamp, Whitney Houston, Bon Jovi, Stevie Nicks, Madonna and U2 all to create new songs and the first A Very Special Christmas album was born. The next year, ABC produced “A Very Special Christmas Party,” a television special based on the album featuring Arnold Schwarzenegger, Danny DeVito, Randy Travis, Mike Tyson, along with members of both the Kennedy and Shriver families. It was filmed on Nantucket and Cade Cod. Josh was hired by the Special Olympics to promote the show. Through bold innovation and enormous generosity, the record industry has made beautiful music for Special Olympics athletes since 1987. From the first album, A Very Special Christmas, the benefit recording series has become the largest financial source in Special Olympics' history. After the huge success of A Very Special Christmas, Josh suggested to Elizabeth Glaser and the Pediatric AIDS Foundation that PAF do something similar. Why not get leading singers to record original children’s songs and all proceeds would go to AIDS research? And so a new album was born. Elizabeth and her supporters reached out and secured an impressive list of talent: Bob Dylan, Sting, Paul McCartney, Little Richard, Bruce Springsteen, Bette Midler, James Taylor, Elton John, Barbra Streisand, and even Meryl Streep sang a lullaby. It was a wonderful album. Josh was involved throughout the project and helped promote the album. It sold over one million records and raised millions for AIDS research. In 1995, for the 10th anniversary of FarmAid, Josh and his team were engaged to promote the concert taking place that year in Louisville, Kentucky. Featuring Willie Nelson, Neil Young, John Mellencamp, and Hootie and the Blowfish, the concert attracted significant media attention. FarmAid does important work and it is remarkable that it continues to raise funds and shine the light on such important issues for so many years. John Mellencamp performs "R.O.C.K. In The USA" at the Farm Aid concert in Louisville, Kentucky on October 1st, 1995. Farm Aid was started by Willie Nelson, Neil Young and John Mellencamp in 1985 to keep family farmers on the land and has worked since then to make sure everyone has access to good food from family farmers. In the fall of 1985, a major earthquake devastated Mexico City. Operation California (now Operation USA) responded with seven airlifts containing medicine and shelter materials, and built a permanent clinic for relocated quake victims as part of an integrated community development project co-sponsored by opera star Placido Domingo. Richard Walden, the founder of OpUSA, pulled together a major benefit concert at Universal Studios starring Placido, Frank Sinatra, John Denver and Julie Andrews. Josh had worked closely with the organization for some years and handled the media outreach, even getting the notoriously reclusive Frank Sinatra to talk briefly to the media. In 1989, Norman and Lyn Lear, Alan and Cindy Horn, and Ted and Susie Field founded the Environmental Media Association (EMA). In the same year, Sting and Trudie Styler established the Rainforest Foundation. Sting came to Los Angeles to introduce his foundation to the entertainment industry and this first event/reception was not well planned. Josh was asked at the last minute to invite some key people along with pulling in some media coverage. Only about a hundred people attended, including Elton John. Sting said to Josh, “Well, it must be hard to raise money in this town.” Not really, said Josh. “Let me help,” he volunteered. Sting, Trudie and their daughters would be in LA for a few weeks. Josh called Ted and Suzie Fields and arranged for Sting and Trudie to come to the Field’s estate for lunch. The Fields were now living at Greenacres — also known as the Harold Lloyd Estate — which had huge lawns that had been used for previous fundraisers. Josh thought it would be a perfect place for a benefit concert that would put EMA on the map and help the Rainforest Foundation raise needed funds. Perfect match. Well, it worked. The next year, EMA hosted, “An Evening in Brazil,” certainly one of the greatest backyard concerts in memory, featuring Sting, Bruce Springsteen, Paul Simon, Don Henley, and others, raising well over $1 million, which back then, was the record for an environmental fundraiser. Josh was very involved with the planning and handled the media for the event. Josh was called to pull this together. He invited some reporters who were good at honoring this special request. It resulted in media coverage in People Magazine and elsewhere… and Springsteen hosted one of the great after-parties for cast and friends at a local Mexican cantina, where everyone danced to songs on the jukebox including Glory Days. His visit to the performance is recounted in the book Bruce Springsteen: Two Hearts, the Story by Dave Marsh. Rock the Vote was founded in 1990 by Virgin Records executive Jeff Ayeroff with the help of Steve Barr, a campaign worker, political fundraiser, Jody Utall and Democratic political strategist Hilary Rosen. Rock the Vote supported the National Voter Registration Act of 1993, commonly referred to as the "motor voter" bill, which expanded access to voter registration. Josh and his team in Los Angeles were very involved in the early years, providing communications counsel and promoting a public service announcement campaign that included a video from Madonna, who wrapped herself in the American flag. Nirvana — Josh represented Nirvana after Kurt Cobain’s death in some legal media relations involving Courtney Love’s machinations. Josh secured the cover of Rolling Stone that asked the key question, "Who Owns Kurt Cobain?" Joe Smith — Josh represented legendary music executive Joe Smith when he received a lifetime achievement award from the Berklee School of Music in Boston. Virgin Records — Josh and his team handled the media relations and crisis communications when one of Virgin's leading artists, Paula Abdul, was sued by a back-up singer in federal court in Los Angeles. Paula won this case. Take Me to the River - Josh and his associate Juli-anne Whitney worked closely with two regional family foundations in creating a outreach and distribution plan for the documentary feature film, Take Me to the River. The brainchild of director/producer Martin Shore, the film chronicles a project that spans generations, races, and genders to create a new music collaboration centered around the Memphis music scene. This project resulted in a close collaboration with the Berklee School of Music and Berklee City Music.